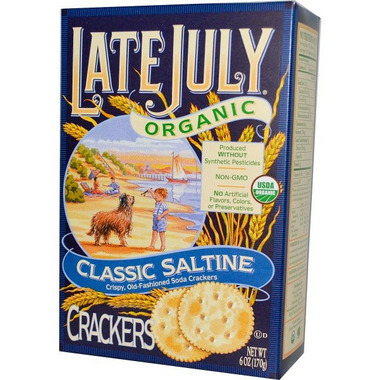 This Late July Classic Saltine Cracker is a hearty old-fashioned soda cracker with a lingering fresh-baked flavor made using only the best organic ingredients. These crackers actually taste the way saltines used to. Yummy! Worth every penny. One of the best saltines I've ever had.